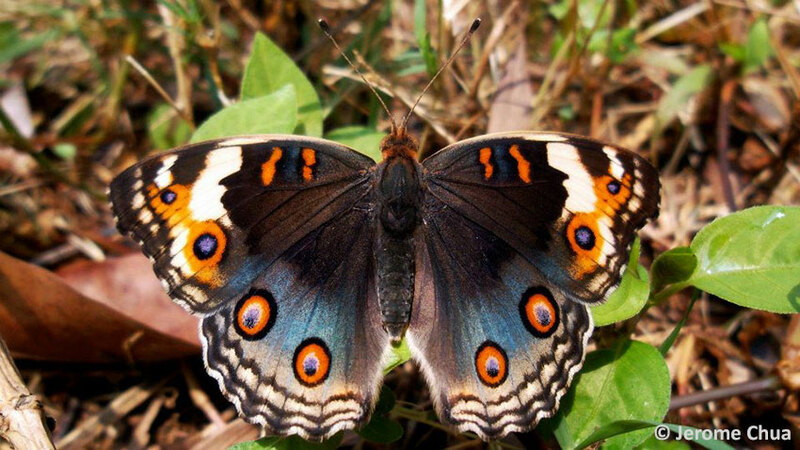 This month, we feature a pretty urban sun-loving butterfly to bring some colour and cheer to our readers. The Blue Pansy, particularly the male, seldom fails to attract the attention of any nature lover who sees it in the field. 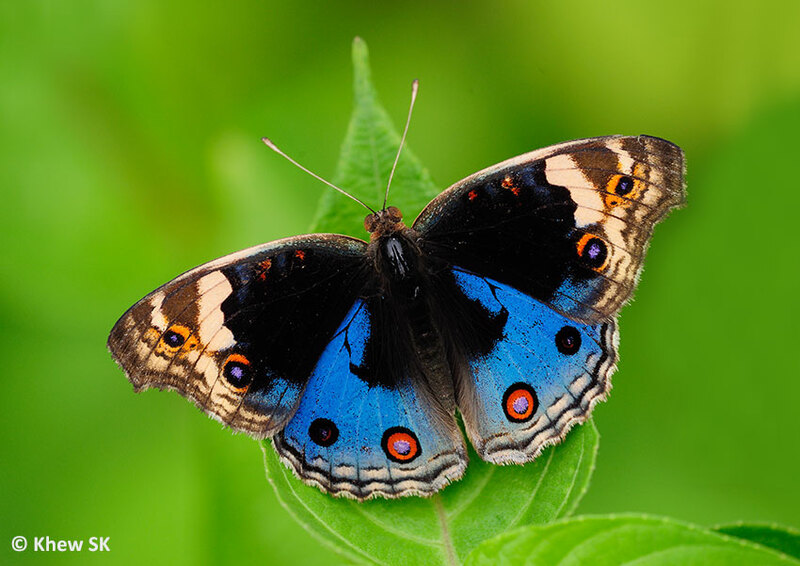 Its bright blue hindwings and eyespots is a good example of Mother Nature's creativity in putting some beauty into our daily lives. 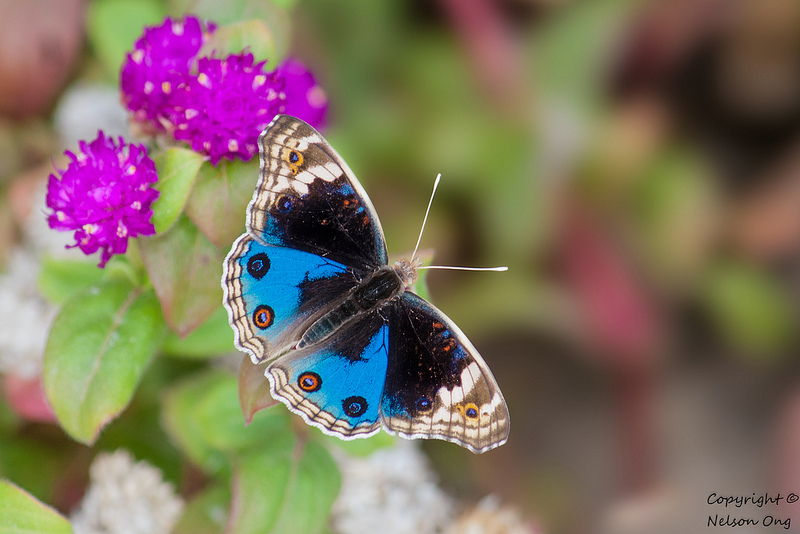 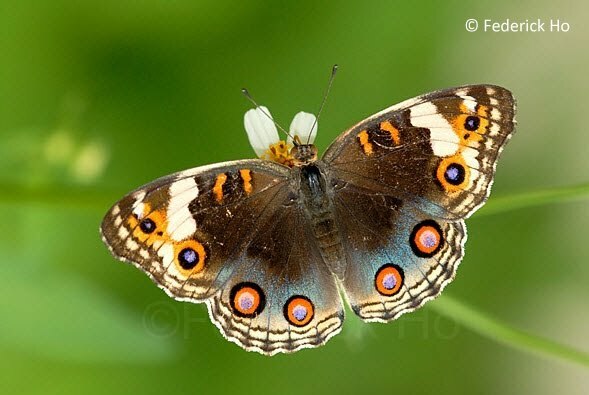 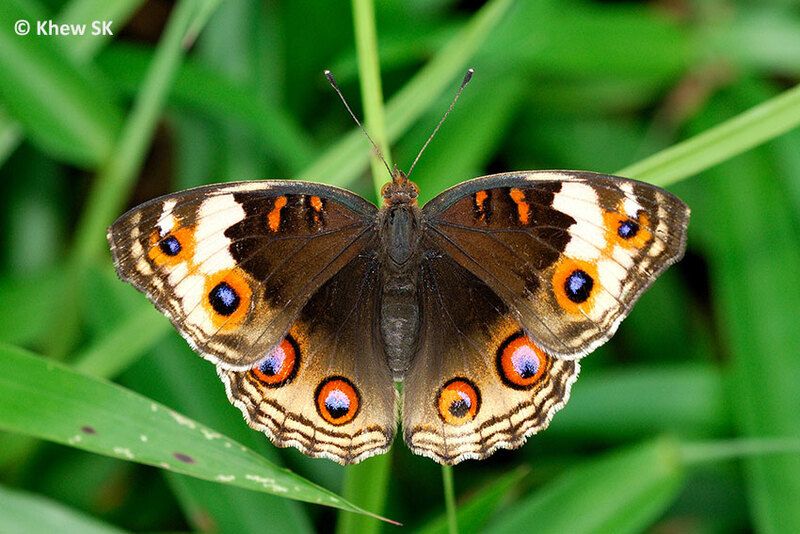 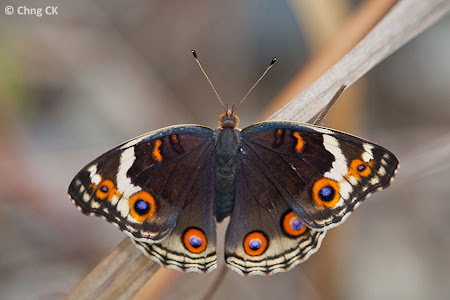 The local subspecies of the Blue Pansy (Junonia orithya wallacei) is named in honour of the renowned British naturalist, explorer, geographer, anthropologist and biologist, Alfred Russell Wallace. His book, The Malay Archipelago, documents his travels and findings in this part of the world. He recorded many of his adventures and discoveries in this book, considered to be one of the best of all journals in scientific exploration in the 19th century. 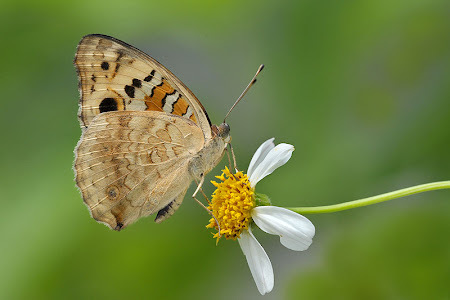 Wallace's exploits in South East Asia generated widespread interest amongst scientists and ecologists, especially his theories on evolution through natural selection. In particular, Wallace was believed to have collected specimens from our very own Bukit Timah Hill in Singapore. Such was his influence in Singapore that there is even a road named after him! 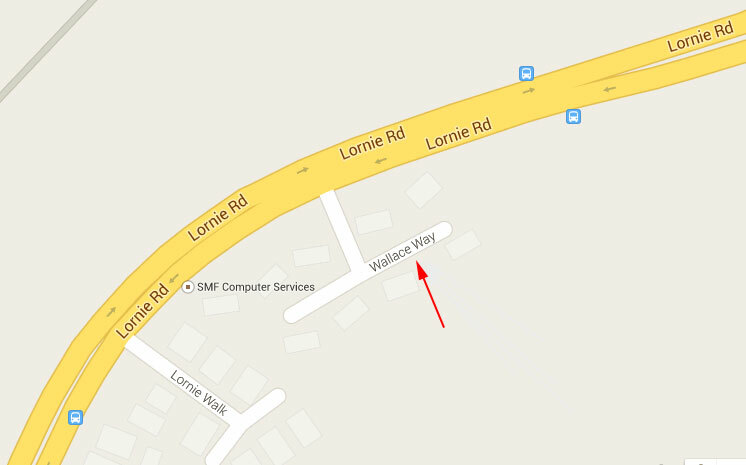 More recently, at the Dairy Farm Nature Park, we can also find the Wallace Trail and the Wallace Education Centre, which was set up to promote environmental education through fieldwork and to encourage nature conservation. Speaking of the environment, we look forward with greater optimism as the appreciation and the call for the conservation of our environment and biodiversity is gaining traction amongst NGOs and also government organisations. Given the limited land mass of about 714 sqkm in Singapore, it has done relatively well in balancing development and the conservation of its remaining nature areas. 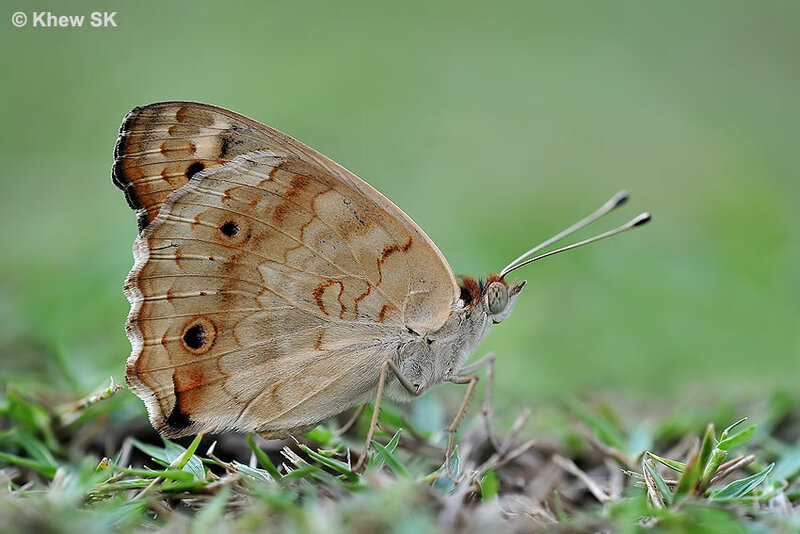 There is little to lose and every sqft of our little red dot has to be carefully planned to allow nature and biodiversity to co-exist in harmony with progress and development. 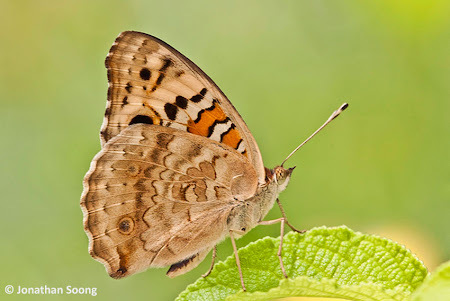 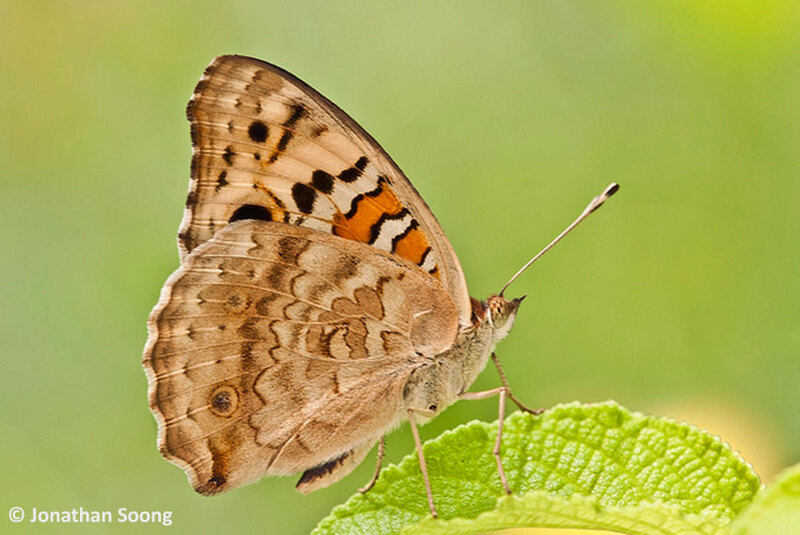 Hobbyist and citizen scientist groups such as ButterflyCircle continue to survey, document, record and research into butterflies in the Singapore environment to help government organisations to better craft policies and direct efforts to conserve our butterfly biodiversity. 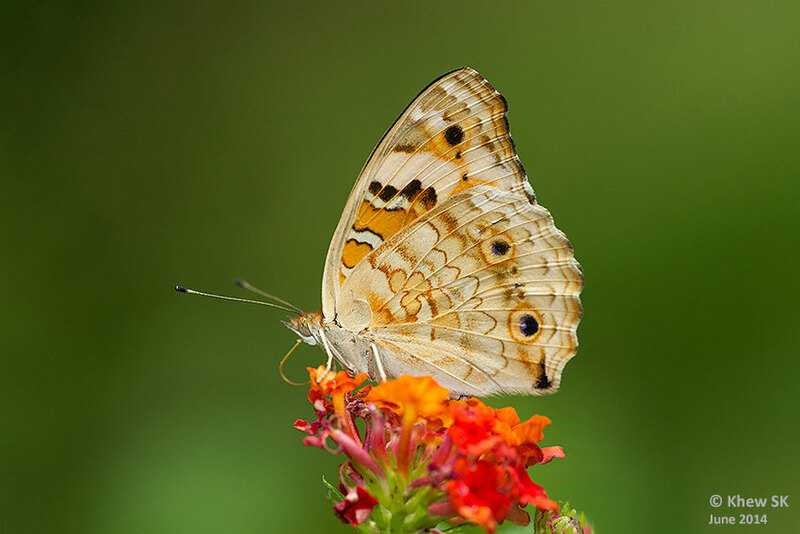 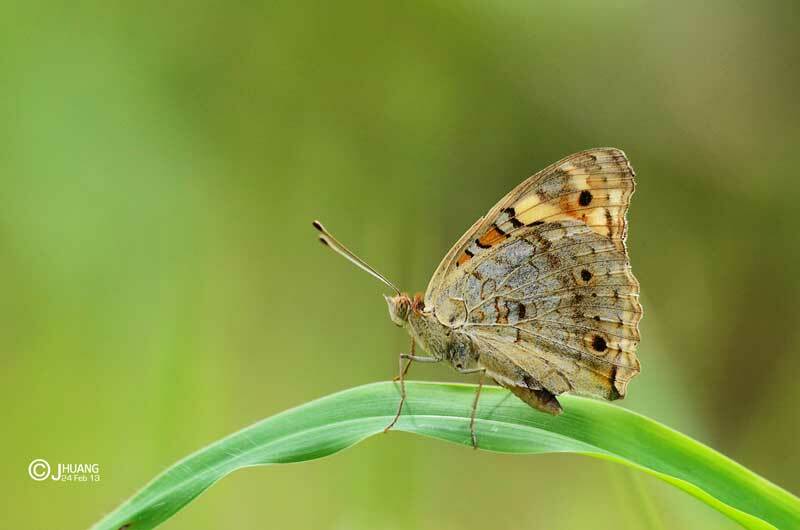 Species data, caterpillar host plants & early stages, habitat preferences, threatened colonies and ecological behaviour of butterflies are shared via this blog and other reports. 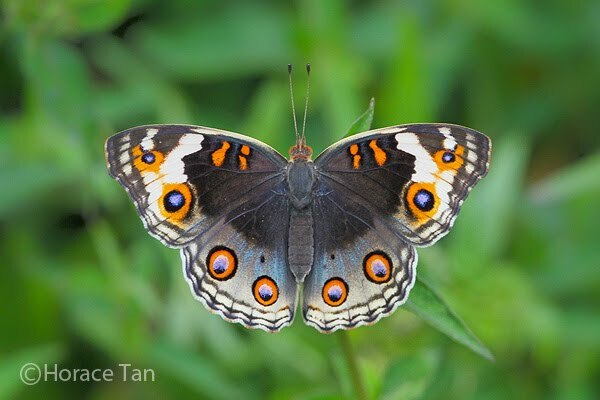 Coming back to our pretty butterfly of the month, the Blue Pansy is one of four species of Pansies of the genus Junonia found in Singapore. The Blue Pansy is common is parks, gardens and open grassy wasteland. 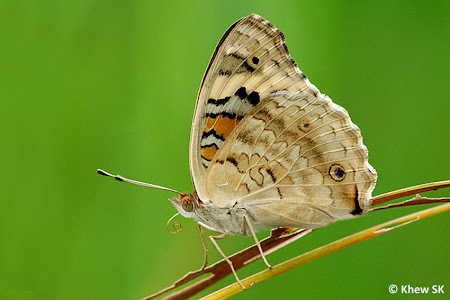 It flies rapidly with a flap-glide flight and is alert and skittish. 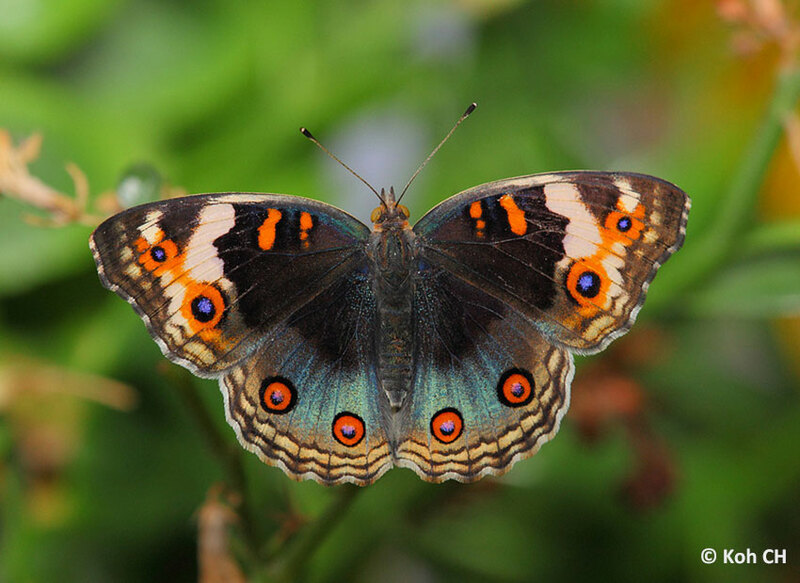 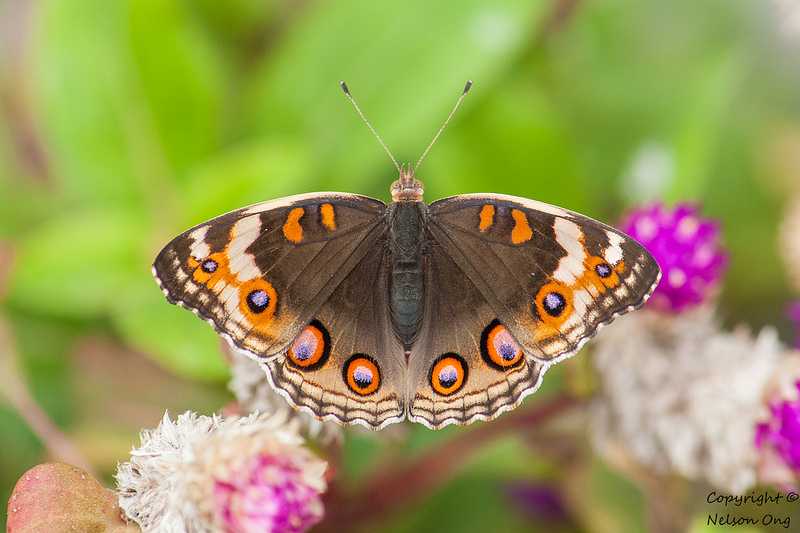 It is related to the American Common Buckeye (Junonia coenia) and shares some of the physical characteristics with its US cousin. Males of this species are often observed to "dogfight" with each other, and individuals engage in a rapid spiral flight often going up to 10 metres or more. 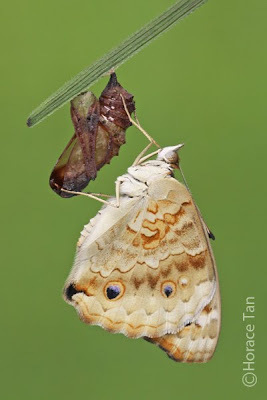 During certain hours of the day, both the males and females may be observed to perch on the tops of leaves with their wings opened flat to sunbathe. They prefer to feed on flowers like Lantana, Bidens and other small wildflowers. 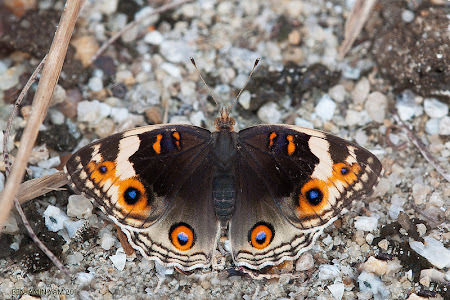 Occasionally they are seen "puddling" at damp areas on the ground amongst leaf litter and grasses. 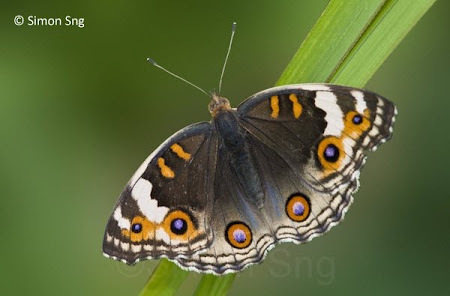 The species has a wide distribution in Singapore, found in coastal areas, urban parks, nature reserves from Pulau Ubin in the north, mainland Singapore and as far south as Pulau Semakau. 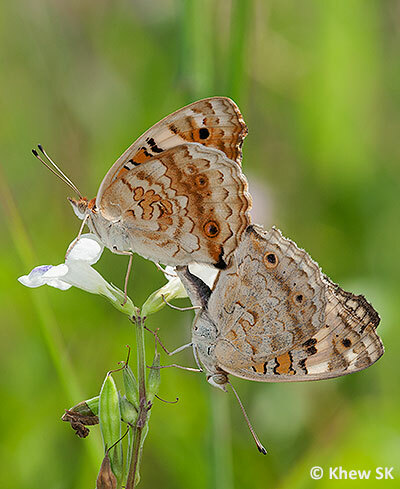 When the weather gets warmer as the day progresses, they are often found perched with their wings folded upright amongst shrubbery and tall grasses. 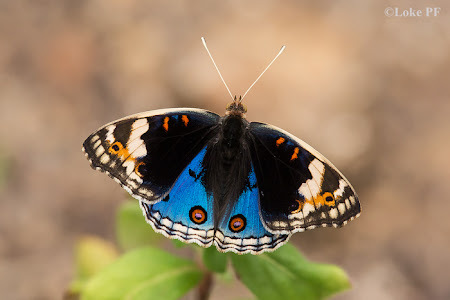 Whilst the upperside of the Blue Pansy is attractive coloured, the underside bears a more subdued and cryptic colouration that allows the butterfly to be reasonably well-camouflaged amongst the undergrowth. The male Blue Pansy features black forewings with a pale yellow subapical band and post discal ocelli. 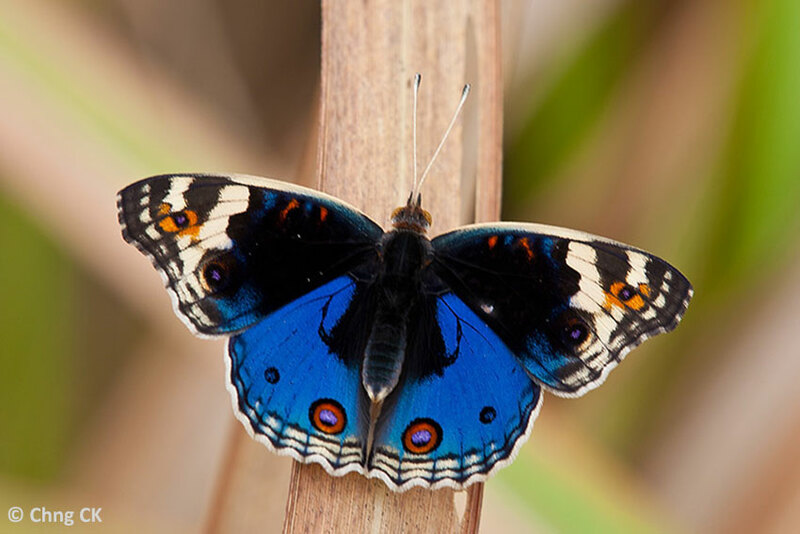 The hidwing is a bright blue with a prominent black-rimmed, orange-purple eyespot at the tornal area. The basal area of the hindwing is black. 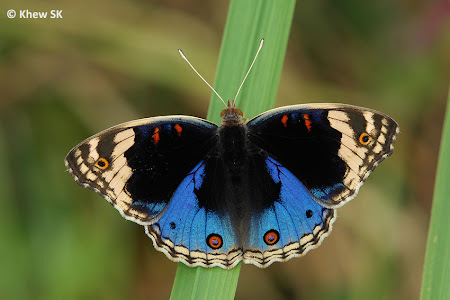 Females are more drably coloured usually featuring a brown upperside and occasionally sporting a reduced patch of blue, usually restricted to the submarginal area of the hindwing. The hindwing ocelli of the female are also larger when compared to the male. 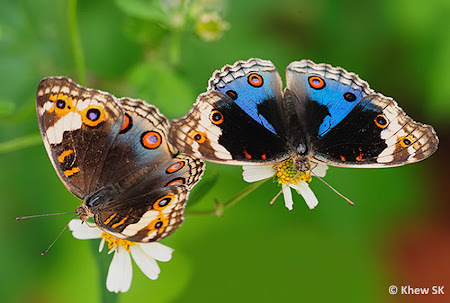 A mating pair of Blue Pansy perched on the flower of its caterpillar host plant, the Common Asystasia. 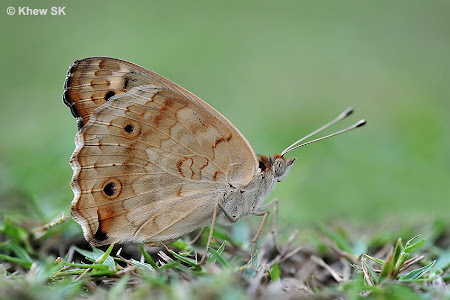 Text by Khew SK : Photos by Chng CK, Jerome Chua, Huang CJ, Federick Ho, Khew SK, Koh CH, Loke PF, Nelson Ong, Jonathan Soong, Horace Tan and Benjamin Yam.